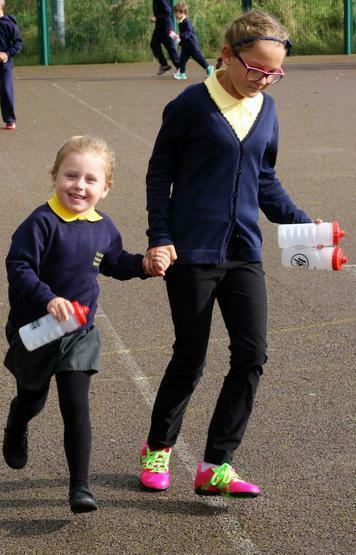 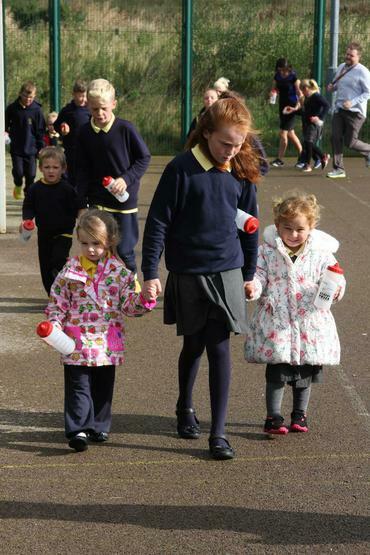 Today we had the launch of our new healthy schools initiative, our 'Mile around the MUGA'. 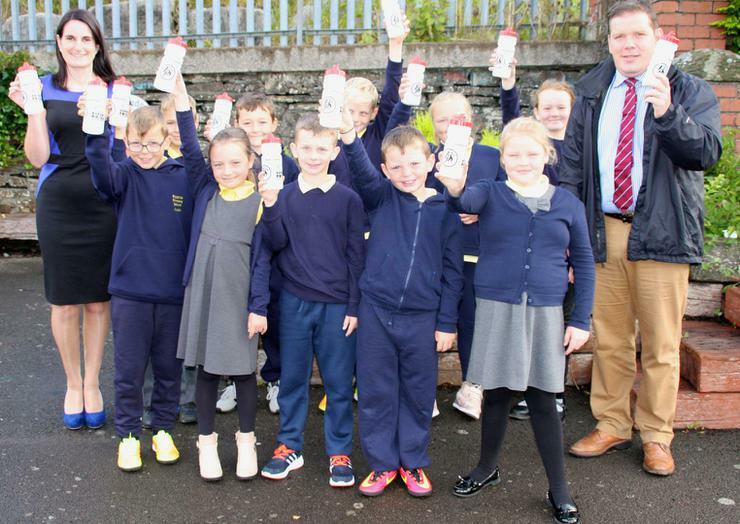 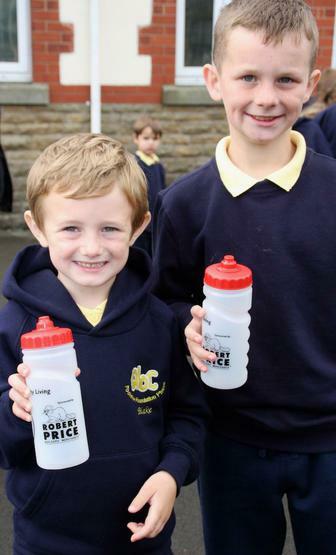 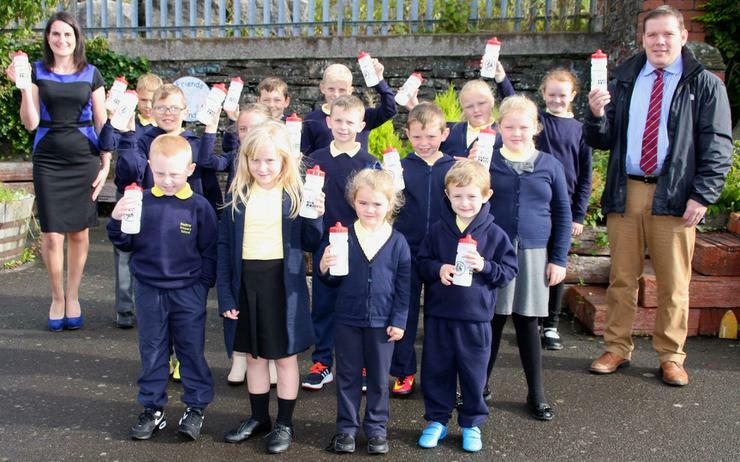 With our launch, Robert Price builders merchants donated 120 water bottles for our children here at Fochriw! 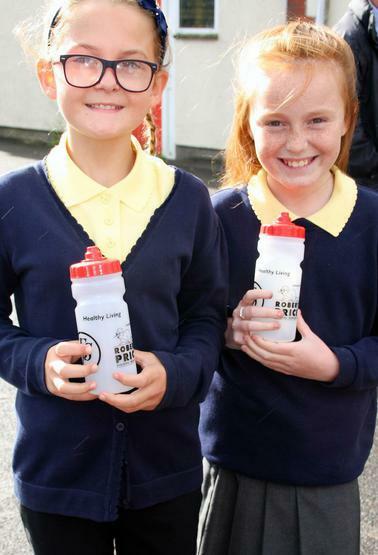 We are extremely thankful! 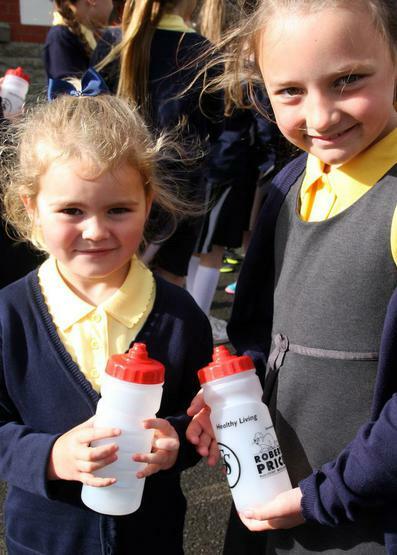 We can't wait to use them to keep us hydrated!